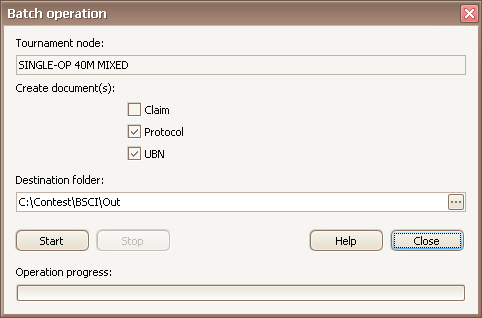 Creation of documents UBN, Protocol, Claim not only for each participant separately, but also for all participants of the chosen folder is possible. The contextual menu "Action" (for a tournament tree folder) contains item "Batch operation...". 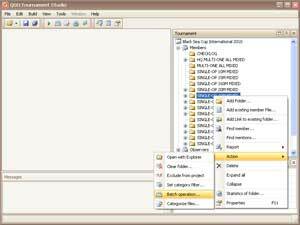 This action allows to create the chosen documents for all participants from the specified folder. 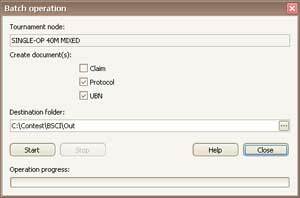 There will be a dialogue, offering to choose kinds of documents (check necessary documents: UBN, Protocol, Claim...) and to specify a destination folder path. Button "Start" starts performance of the batch operation. Operation can be suspended (button "Stop"). 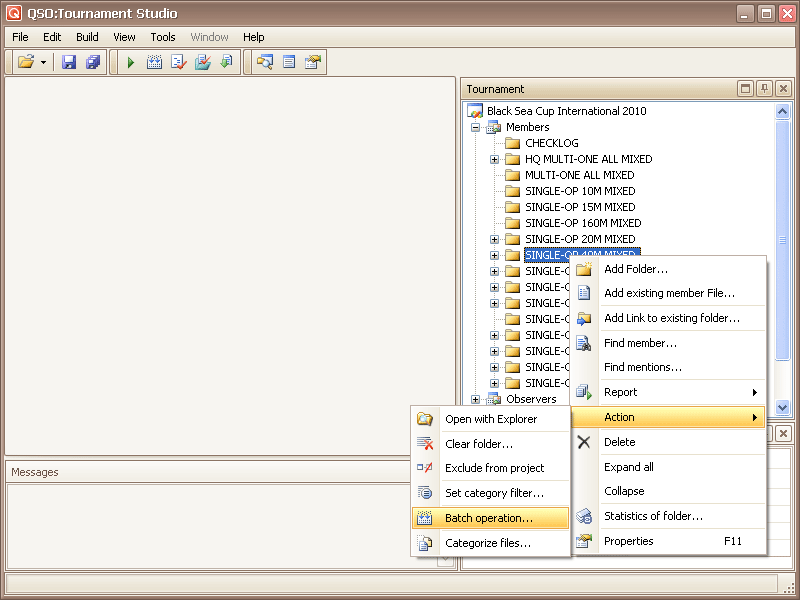 Result of batch operation - the generated text files, will settle down in the specified destination folder.